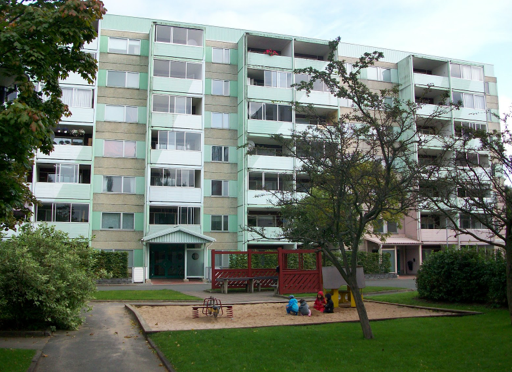 Many years ago when I lived in Sweden, in my early 2o’s, I had my own apartment in a community made up of foreignors. The buildings were tall, brightly painted with huge numbers so addresses were easy to find. I was number 74 V.2. We were from everywhere. Brazil, Iran, Pakistan, Argentina, Russia, different countries from Africa, America, Poland, Chile, Peru, Iraq, India, and many more. Ironically, technically, I am Swedish. I do not have the stereotypical blonde hair and blue eyes like all my cousins, and I didn’t (still don’t) speak with the same Swedish accent, but I am a Swede. A Swede who seemed to fit better in this international neighbourhood. Here, I remember especially the women. They’d smile at me and shout out a “hello” in their language as they beat their rugs outside, and I felt they instantly accepted me as one of their own. Sure I’ll pretend a second to be Bolivian! Hola! Okay that was the only one I knew at the time, to the others I just smiled back. These women cooked with open windows and the smell of their food made my mouth water. Where ever I went, there was a woman with children closeby. Be it her own, or her grandchildren, or nieces and nephews, children were everywhere. I was fascinated that all these people from around the world had found their way here. Across the courtyard from me lived a close friend that I had met and gotten to know. Her family was Assyrian from Iran. I later learned to greet them with a word that sounded like it would be spelled “schlamalockhone”. Her parents didn’t speak much Swedish but it didn’t matter. They were so kind to me! Spending time in their home made me realise how my friends must have felt visiting my family. They only knew English and my family spoke Swedish at home! In time I learned the sounds of their language and when I heard others at bus stops or shops, I always knew if they were speaking their dialect of Assyrian or not and I would greet them with a friendly “schlamalockhone”. My friend’s mother was such a busy body. From what I observed, she cooked a big pot of food each morning. I can still almost taste her meatballs with buttery rice on the side.Whoever came to the house could have some food and there was always plenty to eat. She then spent the rest of her day helping others. Every day! On days where she was home cleaning, she had the TV on a channel that played her home music. Have you heard of Arabic oldies? I loved it! I became infused by their culture. They easily made me feel like I had more than just friends as neighbours, they were my extended family. One Christmas I was the only one in my family in Sweden. Christmas Eve was spent with my aunt and cousins and it was wonderful to learn more in depth the Swedish traditions. Christmas day was spent with my Assyrian family. We put on our best dress and went to… I think it was their grandparents home. See the importance of keeping a journal? Memory is so unreliable. So many people were there! And I had no idea what anyone was saying but it was great. More kindness was shown to me. The grandfather said these words, as my friend translated them for me: “Today we understand that you miss your family. Today we will adopt you as one of our own. Feel at home.” He then invited me to bless the big Christmas meal! I was honored! The food was out of this world delicious. After the meal they all sat around the large living room and sang traditional songs, I had learned some of their dances and joined in on those. It was time for presents but there was so many people I only remember envelopes of money. I watched my friend and her sister open theirs, then I opened mine and we had all gotten the same amount. My heart swelled with gratitude that I was truly accepted that day and I did not feel alone or left out at all. God bless those people for opening their heart and home to me. I’ll never forget the warm summer nights my friend and I would slowly walk around the footpath that outlined our entire community. We talked for hours. Everything from earth to heaven, our pasts and hopes for the future and probably literally EVERYTHING. Women do have a gift of talking. During our walk, we walked past a soccer field that was right in the middle of the neighbourhood. The older boys playing with the younger ones like little brothers and including them in their game. We walked past whole families who were also out walking, husband, wife and children enjoying the evening stroll. I watched them and thought, I want that one day too! Evening strolls with my family. Family is always there when we need a friend. Or are friends there when we need family? Either way, this night she was. It was at about 2am, I woke up with an intense pain in my leg. It was a pain that had resulted in a knee injury 3 years before. I went into the kitchen and panicked when I realised I had no painkillers left. This pain would only get worse and it was unbearable. I called her. At 2am she actually answered her phone! She lived at the top of her apartment building and had to come all the way down to open the door for me. In her flat she offered me food and medicine and I simply stayed the night. She was so much more than a friend. She was like a sister. Always there and never upset with me. I remember talking to her a lot about how much I missed home- Ohio. And it was a hard time for me. But looking back I realise more and more that those years in Sweden had become some of my biggest blessings in life. I cannot thank God enough for the experiences I had, for the life long friendships that were built, for the lessons I would not have otherwise learned. Yes, sometimes trials are blessings in disguise. And I thank God for my extended family around the world. This entry was posted in Travels and tagged acceptance, alone, america, assyrian, birthplace, country, culture, displaced, ethnicity, experience, family, find one self, foreigner, friends, home, homesick, identity, immigration, international, language, love, migration, music, neighbourhood, soul search, sweden, travel. Bookmark the permalink. Stora kramar till dig och Melissa! Loved her. Do u still keep in touch with her? Och kramar till råslätt såklart. Många bra minnen där!